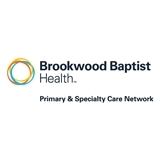 Brookwood Primary Care - Oak Mtn. (Pelham) - Book Appointment Online! He is so thorough and so helpful. I was also able to get in and out of the office, well take care of, in about thirty minutes. Absolutely great service as a physician! I enjoyed my visit with Dr. Pittman! She is very sweet and professional, and I feel comfortable leaving my medical care in her hands. Her nurse, Brittany, has also been very attentive and detailed when contacting me regarding my labs, and the front staff I came in contact with were all very friendly and helpful. Haley is excellent. Takes her time and presents treatment options that a normal person can understand. Good as a GP as far as I'm concerned.